Where is Malta? Is Malta a country? Why are you going to Malta? These are a few questions I filtered from friends and family when I announced my “Chasing Christmas” trip to Europe. It seemed liked a great place to relax and absorb streaming rays of sunshine before heading to the Christmas Markets on the mainland. Everything is close in Malta because it’s only 316 square kilometers (122 square miles) that means it’s easy to travel everywhere by car, bus or boat but traffic is horrendous at times. Malta enjoys hot, dry summers (40°C / 100°F) and mild winters (20°C / 68°F) appealing to beach goers and history seekers year-round. It’s home to approximately 400,000 people with another 30,000 workers, foreign retirees and transient people. More Maltese people live in Australia, the United Kingdom and the United States than in Malta today. 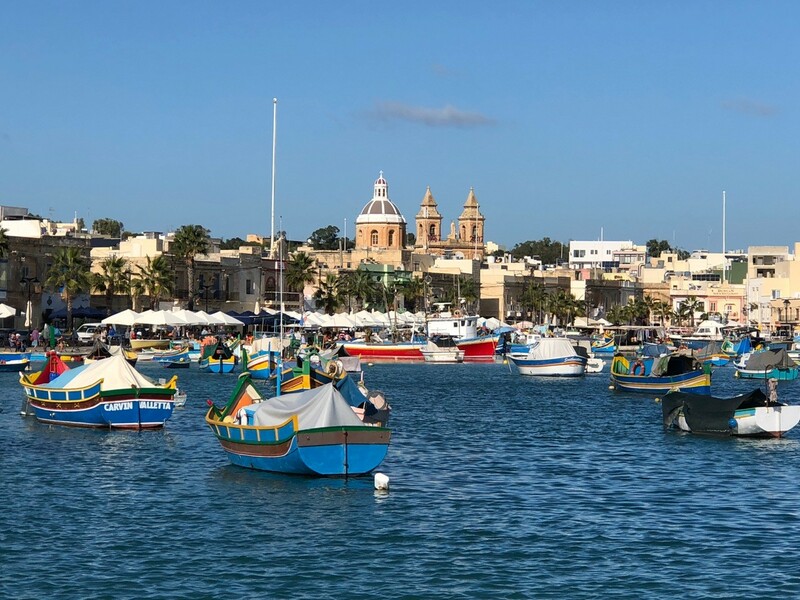 Locals are quick to describe Malta as a “small country with a long history” and that’s a modest description for this impressive and strategic archipelago located in the heart of the Mediterranean Sea off the coast of Italy and Libya. Unlike many other islands, Malta’s formation is not attributed to volcanic activity but rather rising sea levels that likely engulfed a connecting land bridge between Europe and Africa during the last ice age. The mighty Mediterranean giveth and taketh. The Maltese people are a mix of Spanish, Italian, French, Arabic, English and Portuguese as evidence of their language and diverse culture and more Europeans and Africans are coming all the time. It’s a Christian country with about 85-95 percent of the population identifying as Catholic (or lapsed Catholic). There is one mosque located on Malta for those practicing Islam, a representation of the changing demographics in the country. My guide joked, “there are 365 churches in Malta, one for every day of the year.” To say there is a church on every corner is one thing; but to try and count them would be quite impossible. There are churches on every block and religious statues ensconced in glass or carved into buildings reach high above many street corners. Often at the intersection of Christianity and Islam, Malta served as home to the Order of the Knights of St. John (of Jerusalem) for roughly 250 years. The Knights converted the population to Catholicism and prevented the Ottoman Empire from expanding to Malta. 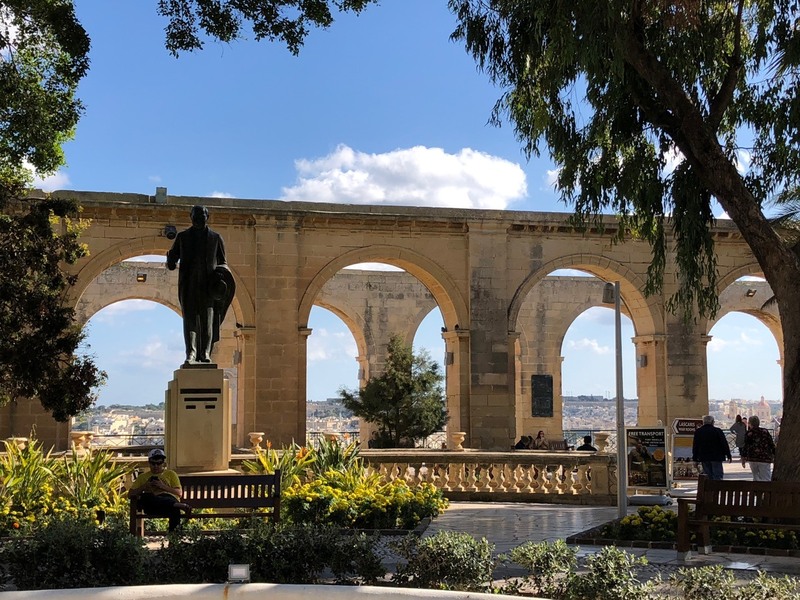 They are most known for establishing Valletta as the Capital City and creating schools, hospitals and reinforcing Malta’s military might and essential presence in the Mediterranean. Malta is a place to go for relaxation. Nothing moves fast except maybe the tide crashing against the jagged shoreline. When I asked my guide Joe if he ever wanted to leave or travel somewhere else he said, “Life is very short. You can choose to make it happy or ugly. We live a nice life here.” He served on the police force for 27 years before retiring with a stable pension. He now works part time as a driver /guide until he convinces his wife to retire and his son finishes university. There is so much to see and do in Malta that it’s overwhelming. The rich history of Malta can best be described as ancient, ingenious, strong and adaptive. 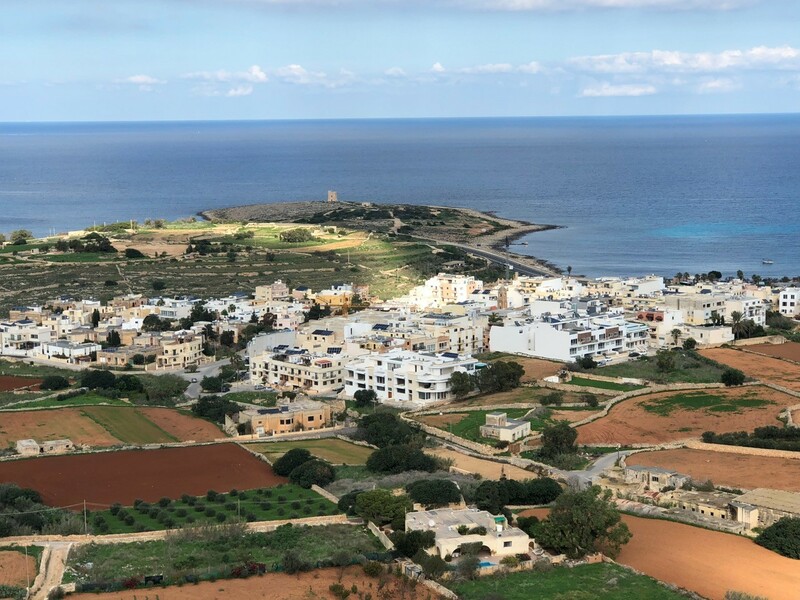 Visiting the megaliths on the southern part of the island discovered in the last 200 years, indicate an advanced native culture dating back to 3200 – 3600 BC. Archeologists found “free standing” rock structures believed to be older than Stonehenge in England and the Pyramids in Egypt. 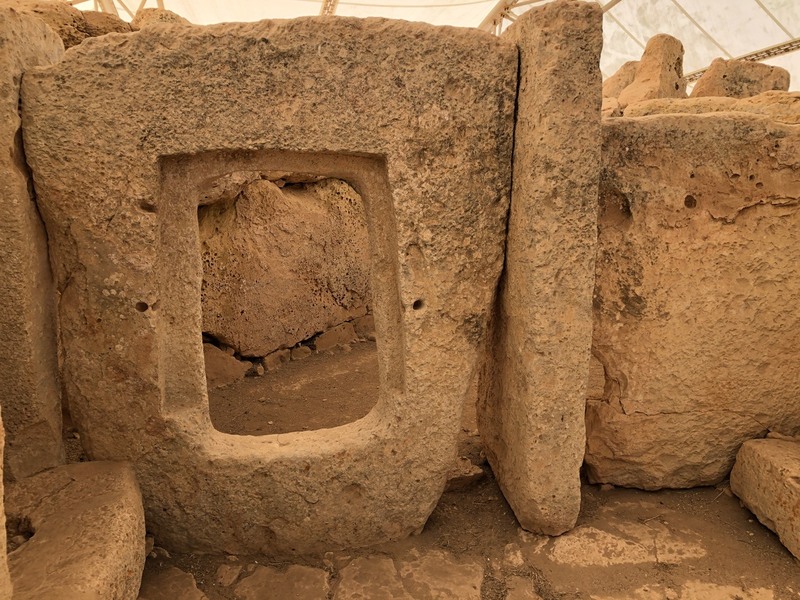 Most of Malta’s past is captured in the limestone buildings scattered across the island and researchers and archeologists suggest these megaliths now UNESCO World Heritage Sites served as religious places including living quarters and areas of mass burials. Walking through the what remains of these structures is like stepping into a time warp. Aqua and baby blue colored peaceful seawater gives way to mysterious and deep dark deceptive waters as the Mediterranean Sea protects yet holds the islands hostage. Malta is small but fierce. The sea is in control and delivers towering scenic cliffs, wind carved beaches and diverse cultures. It’s a place where people feel both claustrophobic and free and where history is layered in its pale golden vanilla buildings. The landscape is a patchwork of fields interspersed with scattered rocks. Land is limited and nothing can be wasted. Farmers grow potatoes, tomatoes, strawberries, olives, capers and grapes for wine and fisherman catch seabass, seabream, grouper and snapper. Each village produces something different but it’s not enough food to support the population making imports vital. Restaurants deliver “Mediterranean diets” with enormous influence from Italian dishes. There is an abundance of culture in Malta and locals make art, music and dance a part of their everyday life. Explore Malta’s temple history through excavated sites, learn about the significance of its location, the power struggle between Christianity and Islam, bask in the sunshine, eat and drink but mostly be inspired by this country’s diversity and its persistence to exist and survive against behemoths. 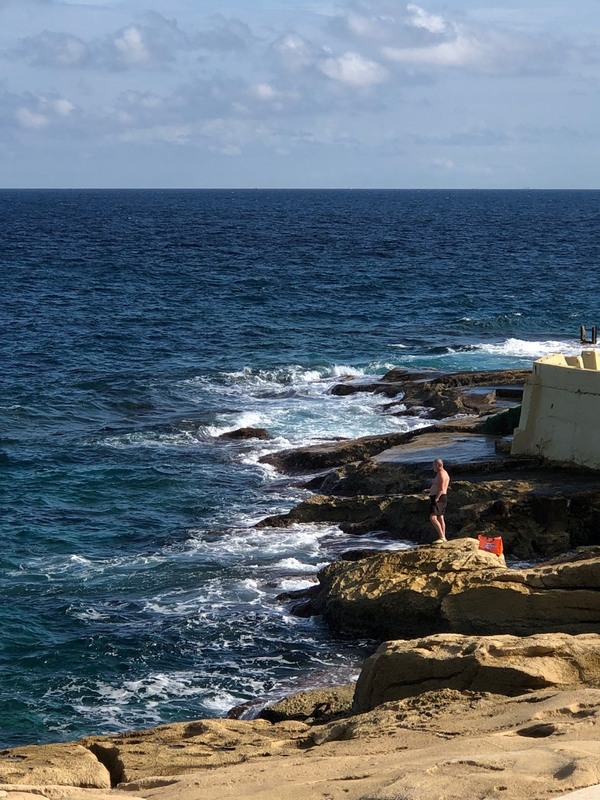 Malta is ocean waves beating away at the islands surface, wind sweeping the streets and whooshing through the air, horns piercing ears and the stillness and silence of hidden coves. I hope the Maltese people can hold onto their identity for a little longer. It’s a special place.